Shifu Shi XingLik has been a student of Chinese ShiFu ShiDelon (Dr. Y. K. Leung) since 1993. The study included the therapy of thousands of clients of Daoist medicine throughout Europe and Asia, lectures and demonstrations of treatment in hospitals (in Slovakia, FN Mickiewicz, Oncology Department), physiotherapy departments, physiotherapy faculties (in Piešťany), schools of holistic medicine and schools in the Czech Republic (in Prague). In 2004, Jason Dean was declared a teacher of the 32nd generation of Shaolin, and was named ShiFu Shi XingLik. 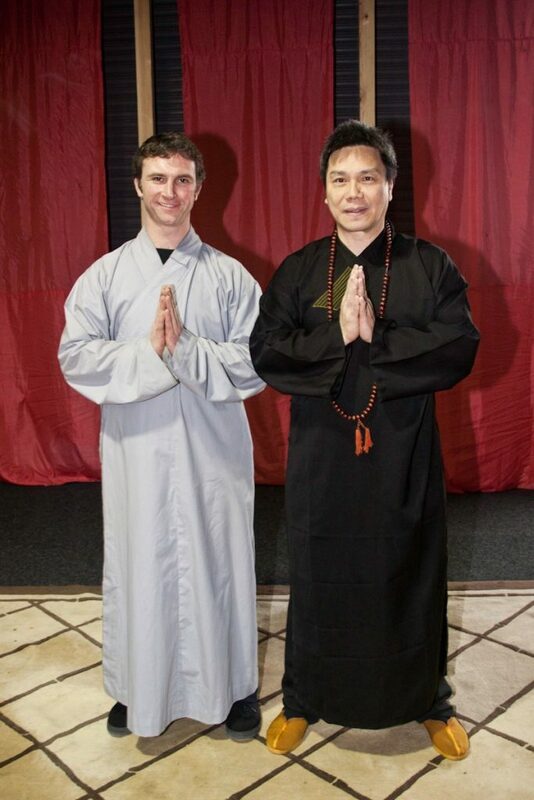 Since 2006, he has regularly conducted seminars, self-cleansing camps, therapies and trainings on TaiJiQuan, QiGong and DaoYinShu in Slovakia. In 2010, he opened his own holistic center in England where he dedicated his time to his community and clients. Today ShiFu Shi XingLik operates directly in Slovakia and continues to fulfill his mission. In addition to regular seminars and trainings, ShiFu implements regular private therapies that focus on client health problems of both acute and chronic nature. The philosophy of Daoist medicine rests in the balance of our physical body, conscious and subconscious minds. During therapy, you will experience a unique method that can bring your body back to its full balance and re-launch the self-healing process that has been and will always be an integral part of our being. This unique therapeutic technique is derived from Daoist medicine in combination with aspects of Chinese medicine. Private treatment begins with the diagnosis of the faults occurring in your body, and ShiFu then begins the therapy. During the treatment he focuses on balancing the nervous system and muscle structure, then unlocking and harmonizing the meridians of your body. After your therapy, ShiFu always instructs you about how you can continue with progressing your treatment at home. Jason first visited my Temple School sometime in 1993. Another young man looking for “immortality”. Despite the fact that it took him several years to get rid of old stress and frustrations, Jason did not give up and worked hard on his external fitness and internal training on his own as well as at the school. I would like to point out that many of my students did not manage the training. Jason also overcame the challenges of his surroundings because his colleagues did not understand the purpose of his hard work. During his training, he also completed his studies at Plymouth University in the UK, so he can apply his knowledge of Daoist medicine and Sports Physiotherapy to his patients. 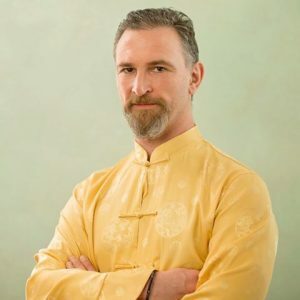 According to my curriculum for Spontaneous QiGong Therapy (SQG Therapy – a unique offshoot of Daoist Medicine), I require my apprentices to accompany me on my travels and gain practical treatment experience with a minimum of 100 patients. Jason has mastered the training to an excellent standard. He has helped many patients with psychological and physiological problems and I can be proud of him. I accepted him as the 32nd generation of Shaolin Layman Monk and gave him the name Shi XingLik. As a trainer and teacher, I wanted to pay my respect for his success. I wish you to continue your mission and continue to carry out your good work as XingLik.